Release Date:12/09/2016;Notes:Double vinyl LP pressing. 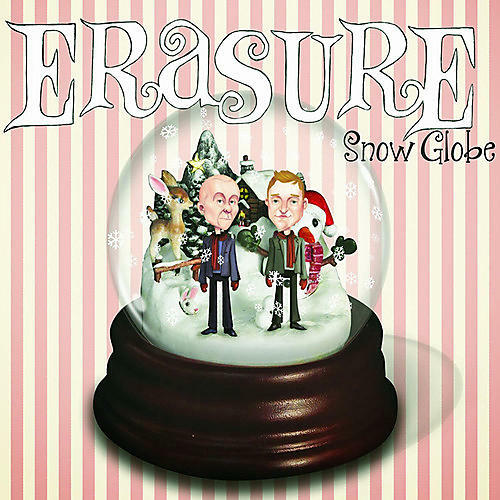 Mute presents the first vinyl release of Snow Globe by Erasure, the duo's fifteenth album originally released in 2013. Unlike your typical holiday album, Erasure purposely went with a "stripped-down" and "eerie" feel to many of the tracks. Vince Clarke stated, "Everything about Christmas has been written already. We thought it would be more interesting to look into the darker side of the season. For a lot of people, Christmas is not a happy time." The album was produced with longtime collaborator Gareth Jones (Depeche Mode, Wire). Snow Globe was preceded by the first single "Gaudete," a medieval Latin carol that was also a hit for Steeleye Span in 1973.